When design Solids control system for oilfield drilling rig,we Consider the following factors for customer. 5. Maintain an adequate inventory of recommended spare parts. 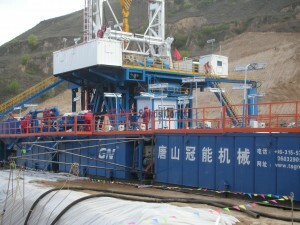 I am in charge of inspection service business development for drilling rig and ancillary equipment. operated more safely and effectively as well as it can meet related specification and standards. €3.9 billion. It has 59,000 employees, 1,330 offices and laboratories in 140 countries as well as 400,000 clients. Looking forward to hearing from you, and hope to have chance to serve your purchasing activities.